Advent starts today so that means Christmas isn’t far off!!! Advent is a 4-week period of great anticipation!! The word ‘Advent’ literally means ‘coming’ – it’s a time of preparing for the coming of Jesus in Bethlehem as a helpless infant. 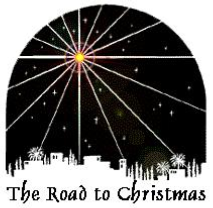 Throughout Advent we’ll hear readings at Mass from the Old Testament that foretell of the coming of the Messiah. We’ll also hear readings from the New Testament that urge us to be prepared for Jesus’ Second Coming. And the Gospels will be full of stories leading to the birth of Jesus – things like the Annunciation (The angel Gabriel appears to Mary), the Visitation (Mary visits her cousin Elizabeth), the birth of John the Baptist and his preaching repentance in the desert. Advent is a perfect time to jump-start our faith life. And one of the best ways to prepare for the birth of our Lord at Christmas is through a sincere and heartfelt Confession…..
Have you ever gotten to a point where you’re far from the person you’d like to be? You don’t like the choices you make. You don’t like the way you treat people. Patience and compassion are in short supply and little things seem to put you in a bad mood. The burden of sin can sometimes feel like it’s crushing us – and if we’re not careful things may begin to seem hopeless. That’s when sin has its tightest grip on us – but we know that the sacrament of Confession can turn all of this around. Confession restores our relationship with God. We might have lied, but we weren’t created to be liars. We might have stolen, but we weren’t meant to be thieves. We might have addictions, but we were never meant to be ruled by them. When we give into sin we become spiritually crippled. Through confession we ask for God’s mercy. And he always grants that mercy, always – he forgives unconditionally. Confession helps us remember that we’re precious in the eyes of God. Our Parish Penance Service will be Tuesday, December 12 at 6:30pm. We’ll have plenty of priests on hand to hear confessions. We also have confessions every Saturday from 3-3:30pm. Before we celebrate the birth of our Lord on Christmas, please come and experience our Heavenly Father’s mercy and forgiveness through Confession. As I said at Mass today, this is Offertory Weekend. This week you’ll be receiving a letter in the mail from me along with your Offertory Commitment Envelope. As I mentioned at Mass (and in my letter), for my personal Offertory Commitment this year, I’m giving $3 more each week, and I’m asking each parish family or individual to do the same. This is how much we need in order to keep pace with the expenses in the parish. Please increase your support by $3 a week, just $12 a month – I really need your help and support in making this happen. If you’re in a position to give more, that’d be wonderful and greatly appreciated. If an additional $3 a week is too much, please try increasing your giving by $5 a month. When you receive your Offertory Commitment Envelope this week, please complete it and drop it in the collection basket at Mass next weekend – or mail it to the Parish Office. The Bengals are 5-6 and chasing a playoff spot and they have a HUGE game against the Steelers Monday night. Primetime game……against the Steelers……and we’re not really very good – that’s a recipe for disaster!!! Regardless, I’m predicting the BIG UPSET!!! WHO-DEY!! !